I recently reviewed Joseph Lelyveld’s biography of Mahatma Gandhi for the lovely folks over at Our Hen House. I chose to focus on a few things I gleaned about activism and those which I thought would be relevent to share with activists. 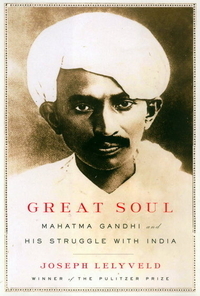 See review of Great Soul: Mahatma Gandhi and his Struggle with India here. Posted in books and tagged Activism, Books, Gandhi, Lelyveld.